Kingsbury High School Staff & Students Get Knitting! During Refugee Week (17 – 23 June 2013) the English as an Additional Language (EAL) Department launched a crocheting and knitting project. 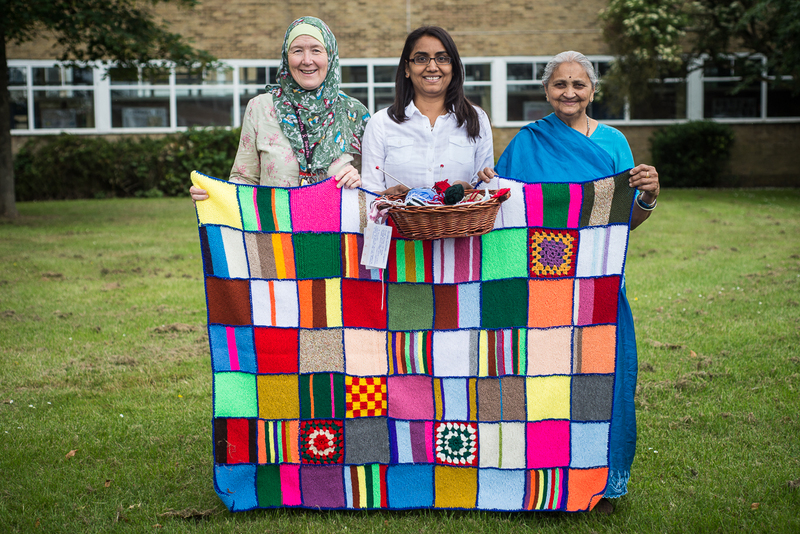 The project called for members of staff and students to knit or crochet squares which were then sewn together to make blankets. Baskets filled with wool, knitting needles and crochet hooks were left in the school’s staff room where members of staff could unwind with a spot of knitting. Weekly knitting workshops were held for students who learnt some basic knitting skills. The blankets will be sent to via a registered charity for refugee use. On Wednesday 10th July Kingsbury High School played host to the first ever Brent Ensembles Concert. This concert included music from the students of Claremont High School, St Gregory’s Catholic Science College, Preston Manor High School and Kingsbury High School. The idea for this concert came from Mr Dominé, the Head of Music at Kingsbury High School – “I have worked at both Claremont High School and now at Kingsbury High School and have been really impressed with the standard of the young musicians in Brent. 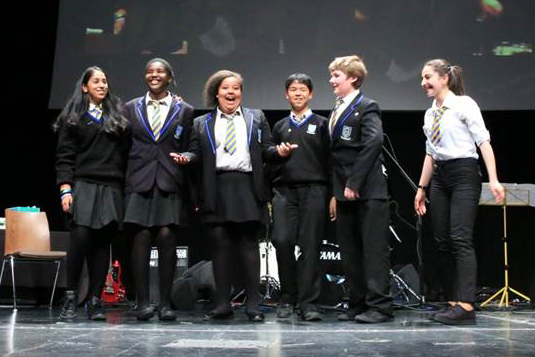 I wanted to give the students an opportunity to showcase their talents and for the students, staff and parents of the different schools involved to hear what fantastic music is being produced in the Brent schools”. There was an excellent turnout which included the Mayor of Brent and it is hoped that this will become an annual event. 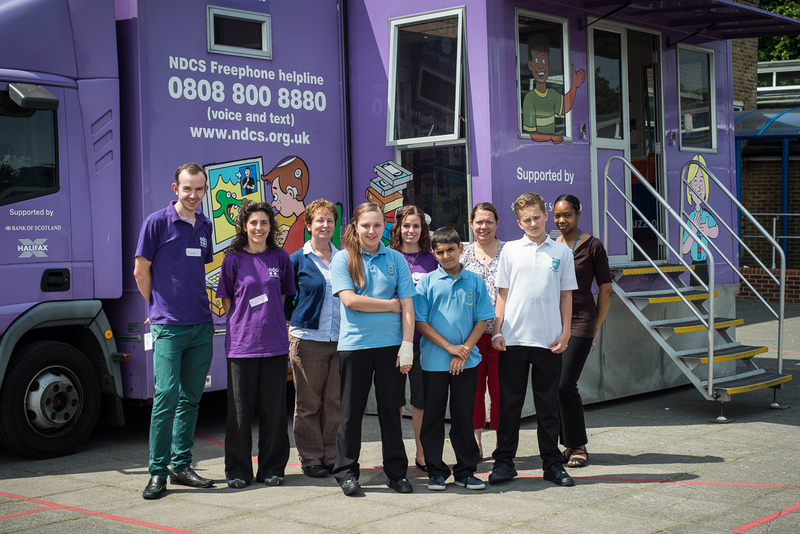 On Tuesday 16th July, Kingsbury High School was visited by the National Deaf Children’s Society (NDCS) Listening Bus. The Listening Bus has been travelling the UK since 1996 delivering the NDCS’s information service to the doorstep of the nation’s deaf children; their families and friends and the professionals working with them. Kingsbury High School students and staff benefited from the range of workshops the road show team offer. Damian Ball, Road Show Coordinator, spoke to deaf students about their confidence, identity, emotional health and wellbeing. Students also had the opportunity to try out the new technologies available for independent living such as flashing doorbells, Bluetooth neckloops and vibrating alarm clocks. The service delivers 90 free visits a year, with the majority taking place at primary and secondary schools. Kingsbury High School Year 9 cricket team won the Brent Competition for the third year running with a 22 run victory over Claremont High School. The match took place at Kenton Cricket Ground. Kingsbury batted first and scored 137 in 20 overs, an average of almost 7 runs per over! Nakul Hirani top scored with 28 runs, Adnan Hassan making 20 and Kaushil Patel 14 on a poor batting strip. Great running of singles and runs by all team members meant that the total would be difficult for the opponents to chase. Claremont responded well at the start of their innings with their opening batsmen making 45 before Sajad Ahmad took the first wicket, Nakul then took two important wickets with great bowling. Saptarshi Bhatt also took two wickets with Dhruv Bhatt making a great catch. Masoud Jaji bowled a maiden and took an LBW. Sajad Ahmad cleared the bottom order finishing with a 5 wicket haul. Abthal Monir’s wicket keeping was fantastic, taking an edge catch and a stumping. It was a great result for the students and it means that the team have completed all their Brent matches at Key Stage 3, unbeaten, which is quite an achievement. Wise Up! Face Up! Stand Up! For their London 2012 Olympic Legacy, Kingsbury High School’s Year 8 students adopted the theme of courage. Under the campaign banner, Wise Up! Face Up! Stand Up!, the students took up the challenge of supporting the courage of families affected by cancer. Through the school year, they raised money for, and awareness of, St Luke’s Hospice, The Teenage Cancer Trust and Stand up to Cancer, part of Cancer Research UK. 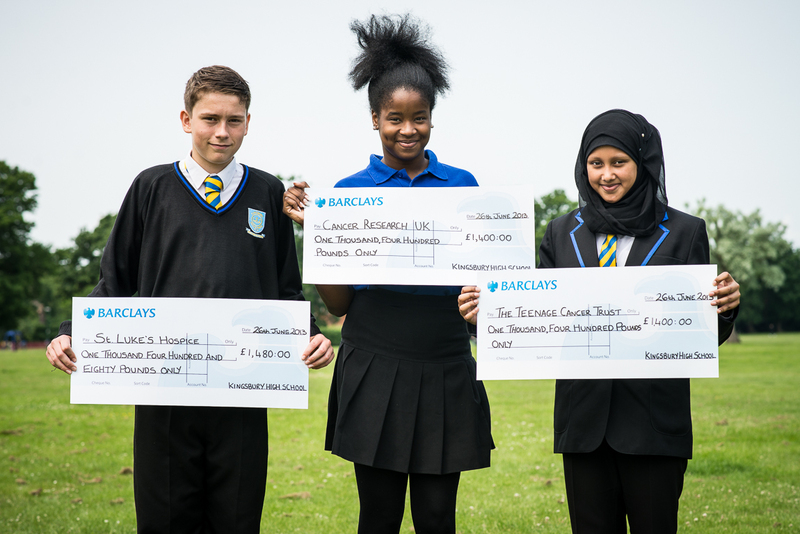 Students raised £1,400 for The Teenage Cancer Trust, £1,400 for Stand up to Cancer and £1,480 for St Luke’s Hospice. Students presented cheques to representatives of the three charities at the Watford Colosseum during the school’s inaugural Year 8 Graduation ceremony. 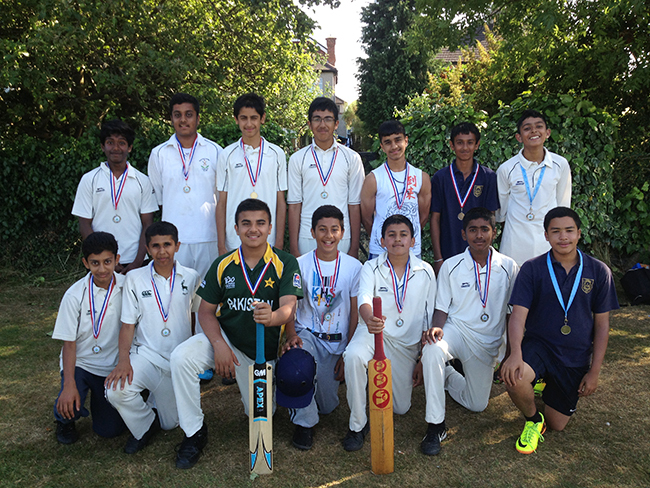 Kingsbury High School’s, Year 8, Boys Cricket team were runners up in the Brent Cricket final. They drew to Claremont High School with both teams scoring 98 runs each from 20 overs. 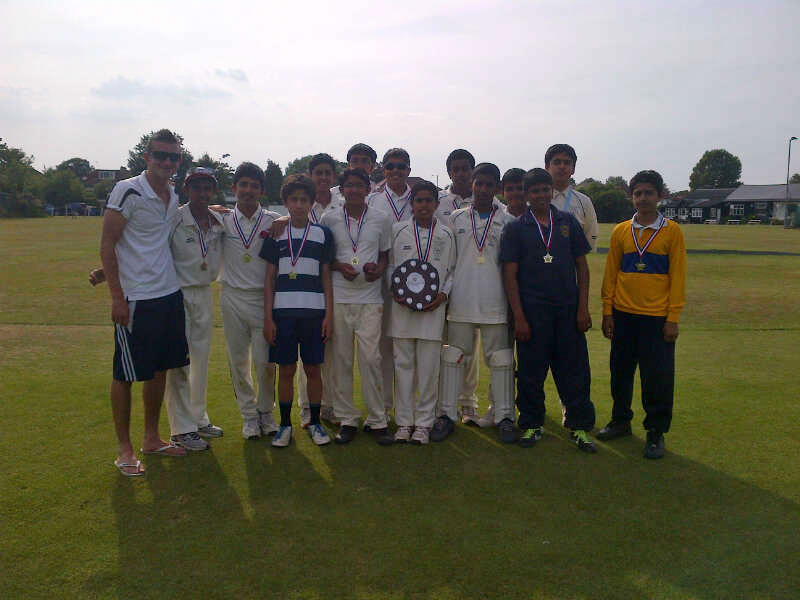 Claremont High School were crowned champions as they had taken 7 wickets and Kingsbury High School had taken 6 wickets. It was a harsh way to lose a final, but nevertheless a great achievement for the squad for reaching the final. Year 8 students took part in Malala Day events on Friday 12th July at the Houses of Parliament and on the Southbank, to add their voice to Malala’s and make a global stand for all children everywhere to have a chance to go to school. 57 million children worldwide are still missing out on their right to a quality education. Malala Yousafzai, a young Pakistani girl, was shot last October, on her way to school by the Taliban for speaking out about the right for girls in her country to have an education. Malala has been recovering in the UK and on her 16th birthday, made her first public speech at the United Nations (UN). She was joined by hundreds of young people from around the world, for a youth takeover of the UN, all campaigning for the rights of children worldwide to have a quality education. In Westminster on 12th July students from Kingsbury High School joined with other young campaigners from every corner of the UK. Their ‘voices’ fed into the main proceedings in the UN and became part of a final official youth ‘Call to Action’ document on their vision for education and ending poverty. This document will be sent to the UN Summit in September when world leaders gather to work towards new post-2015 development goals. Students from Kingsbury High School were selected to take part in the Malala Day events as they have been involved in the Send My Friend to School campaign for the last seven years. Alka Vekaria, also aged 13, said “Every child deserves an education to enable them to aspire and excel in life and they can only achieve this if they get a chance or opportunity to go to school. I feel that it’s unlawful and wrong that any child in this world should lose out on an education because it’s unfair to deprive them of fulfilling their potential for a better future.